Iowa Starting Line Podcast host Pat Rynard walks you through the good, bad and depressing from Iowa’s election night on Tuesday. We cover the statewide and congressional races, looking at what it means long-term for Iowa politics. 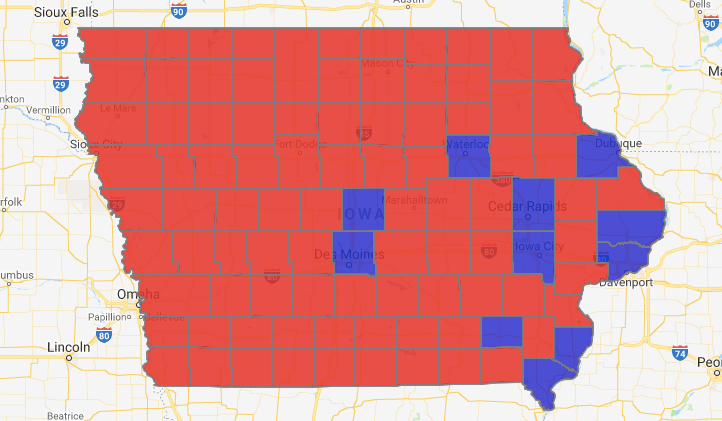 From my perspective the returns show a clear reason why Fred Hubbell isn’t Governor-elect of Iowa: he didn’t reach out to rural voters and that cost him the election. We need to learn that rural voters matter and we should nominate candidates who can cut into the Republican lead with these voters.